Pauliina May Jazz n Easy! The vocalist Pauliina May was born in Finland into a family where both parent had a singing career in music. Music, art and especially television entertainment were always around and led both daughters of the family into performing arts. Pauliina's father Erkki Pohjanheimo, is a TV director and a producer. Pauliina's sister Petriikka Pohjanheimo has graduated from the Theatre Academy of Finland and is working as a freelance actress in Finland. During her career vocalist Pauliina May has covered styles from jazz, salsa, latin-pop, pop, Argentinean tango up to Finnish lyrical and dancing music. She started her music/voice/vocal teaching studies at the Pop&Jazz Conservatory in Helsinki, Finland (1991-1996) and continued at the Rotterdams Conservatorium in Holland and graduated from it's Latin music department on 11.12.2000 with a degree 9/10. See videoclips! Currently Pauliina May also works as a vocal pedagoge at her own Pauliina May Vocal Studio. October 2017 Pauliina May was asked to teach at the Codarts World Music Department, former Rotterdams Conservatorium. Pauliina May will start coaching singers within afro-Cuban music in November 2017. She speaks English, Spanish and Finnish fluently. She has a passable knowledge of Dutch, and she has studies behind with Portuguese and French. Rotterdam's Conservatorium, Holland, Latin Department; 1996-2000. Vocal training & teaching, Afro Cuban music, Brazilian music and Jazz. Diploma 11.12.2000. Study trip to Cuba, Conservatory of Santiago de Cuba, -98. Pauliina May wins the second prize of the "Erasmus Jazz Prijs 2001" Rotterdam, The Netherlands. In Curaçao: Azucaraba presentation -98. Pauliina May has appeared in Finnish radio stations various times since her childhood. In Romania, Radio Romania (Societatea Romana de Radiodifuziune), as soloist of Radio Romania Big Band. 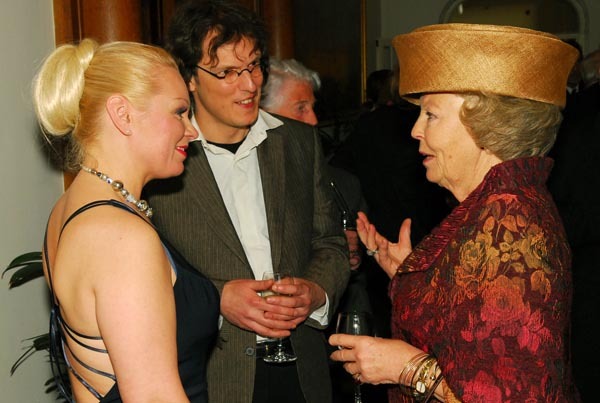 Pauliina May performed together with Izak Boom to Her Majesty Queen Beatrix and President Ahtisaari. Pauliina played successfully together with her band Pauliina Y La Banda IrÉ at the famous North Sea Jazz Festival on July, 1999. 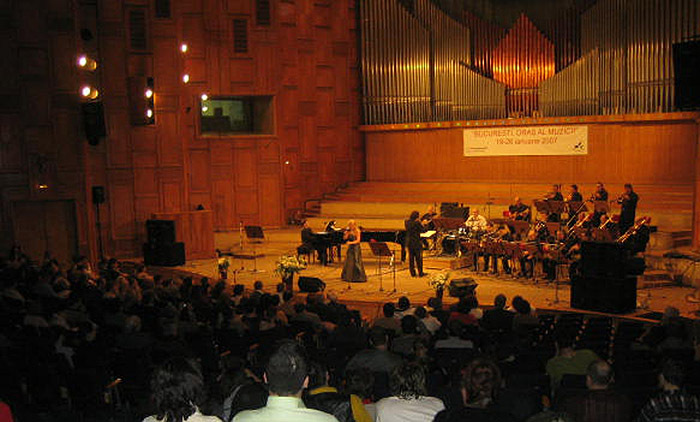 EBU-concert in Bucharest on February 2006 (Societatea Romana de Radiodifuziune). Broadcasted live 18.2.2006 (EBU-European Broadcasting Union). She was re-invited to perform with the Romanian Radio BB on January, 2007. The concert was broadcasted on the EBU-Euroradio satellite network to 21 countries. Estonian Dream BB, Pauliina May performed as a guest vocalist with Estonian Dream Big Band in Tallinn on 21.6.2001 to over seven hundred guests. BlancoNegro, Con Sabor, El Septeto, Fiestecita, Grupo Aché, Sami y Su Conjunto, Los Gigantes, Salsa Caliente, Son Sabroson performing in Clubs, Festivals, and Helsinki Winter Carnaval - where she worked every year with different orchestras during 91-96. Azucaraba, Corazon Ardiente, Latin Feeling, Pauliina y La Banda IrÉ, Son Caribe, Salsa Masters Saoco in Dubrovnic! In addition to this, she has performed as a guest vocalist with Lucas van Merwijk Cubop City BB, Rumbatá, Saoco, Perfume de Salsa, Titia y su Rumbadamas. Bayuba Cante, AfroCuban Yoruba Music mixed with elements from Flamenco & Indian Music. in The Antillian Islands, May 1998; St.Maarten, Curaçao, Bonaire and Aruba, playing seven successful concerts during two weeks. On that tour she also appeared in Curaçao radio and television. Together with a son group El Septeto she was touring in Sweden and Norway in summer -93.